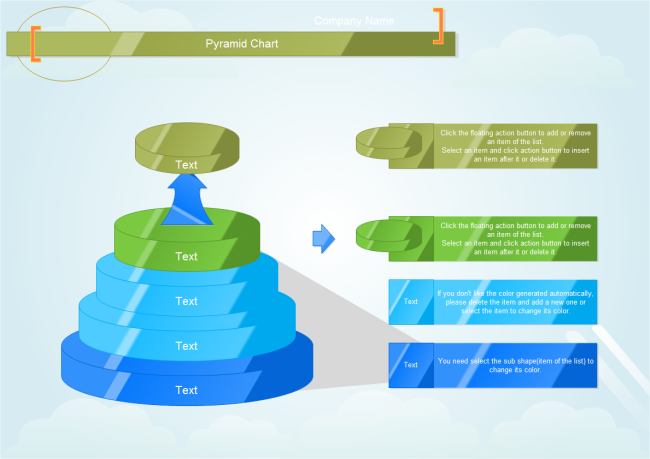 Description: A free customizable pyramid diagram with list template is provided to download and print. Quickly get a head-start when creating your own pyramid diagram. The combination of pyramid shape and list shape, both being smart and flexible, makes a better and more inclusive visualization.